In a frying pan, melt 3 T. of the butter. Make sure butter does not burn. In a small bowl mix together the peanut butter, honey and cinnamon. Slice the bananas into 1/4-inch thick slices. 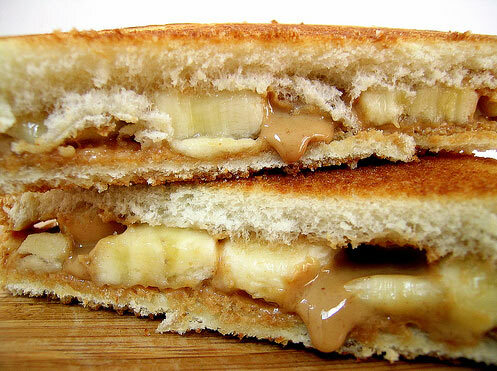 Spread the peanut butter mixture on 4 slices of the bread and cover with banana slices. Top with the remaining 4 slices of bread. Spread the remaining butter on both sides of the sandwiches. Grill the sandwiches in the frying pan until each side is golden brown.